Free facon athletic display font for graphic designers that need to present their work in a professional way. 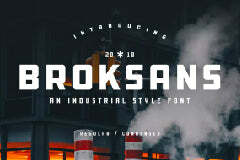 This free font file was found from the amazing source called Alejo Bergmann. Easily amaze your audience with this cool font and make your graphic designs pop up from the crowd.